Anspaugh LR, Simon SL, Gordeev K, et al. 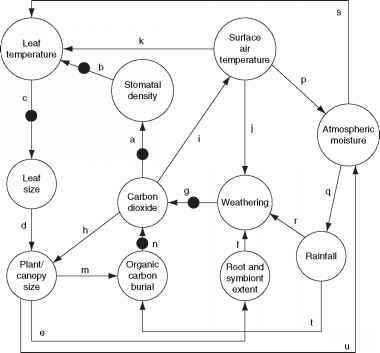 (2002) Movement of radionuclides in terrestrial ecosystems by physical processes. Health Physics 82: 669-679. Beck H and Bennett BG (2002) Historical overview of atmospheric nuclear weapons testing and estimates of fallout in the continental United States. Health Physics 82: 591-608. Bell JNB and Shaw G (2005) Ecological lessons from the Chernobyl accident. Environment International 31: 771-777. Bennett BG (2002) Worldwide dispersion and deposition of radionuclides produced in atmospheric tests. Health Physics 82: 644-655. Fetter CW (1993) Contaminant Hydrogeology. Upper Saddle River, NJ: Prentice-Hall. Hanson D (2006) Chernobyl's aftermath. Chemical and Engineering News 18(37): 11. Igarashi Y, Aoyama M, Hirose K, etal. (2003) Resuspension: Decadal monitoring time series of the anthropogenic radioactivity deposition in Japan. Journal of Radiation Research 44: 319-328. Lee HN (2001) An approach for estimating kinetic mass transfer rate parameters in modeling groundwater transport at Fernald, Ohio. The 2001 Containment Proceedings of International Containment & Remediation Technology Conference and Exhibition, Florida State University, Orlando, Florida. Orlando, FL: Institute for International Cooperative Environmental Research; CD-ROM Index ID, 077. Lee HN (2004) Issues and challenges of using natural radionuclides as tracers for atmospheric studies. In: First International Expert Meeting: Workshop on Sources and Measurements of Natural Radionuclides Applied to Climate and Air Quality Studies, GAW Report 155/WMO TD 1201, pp. 34-38. Gif-sur-Yvette, France/ Geneva, Switzerland: Global Atmosphere Watch (GAW)/World Meteorological Organization (WMO). Lee HN (2006) Overview of radionuclides transport. Proceedings of International Symposium on Environmental Modeling and Radioecology, Institute for Environmental Sciences, Rokkasho, Aomori: Japan,18-20 October 2006. Lee HN and Feichter J (1995) An intercomparison of wet precipitation scavenging schemes and the emission rates of 222Rn for simulation of global transport and deposition of 210Pb. Journal of Geophysical Research 100: 253-270. Lee HN, Tositti L, Zheng X, and Bonasoni P (2006) Analyses and comparisons of variations of 7Be, 210Pb, and 7Be/210Pb with ozone observations at two Global Atmosphere Watch stations from high mountains. Journal of Geophysical Research (Atmospheres) 112: D05303 (doi: 10.1029/2006JD007421). Lee HN, Wan G, Zheng X, et al. (2004) Measurements of 210Pb and 7Be in China and their analysis accompanied with global model calculations of 210Pb. Journal of Geophysical Research (Atmospheres) 109: D22203 (doi:10.1029/2004JD005061). Miller K and Larsen R (2002) The development of field-based measurement methods for radioactive fallout assessment. Health Physics 82: 609-625. Shaw G, Venter A, Avila R, et al. (2005) Radionuclide migration In forest ecosystems - Results of a model validation study. Journal of Environmental Radioactivity 84: 285-296. Simon SL, Bouville A, and Land CE (2006) Fallout from nuclear weapons tests and cancer risks. American Scientist January-February issue: 48-57. Radiation (UNSCEAR) (2000) Sources and Effects of Ionizing Radiation, 2000 Report to the General Assembly with Scientific Annexes. New York: United Nations; Publications E.00.IX.3 (vol. I) and E.00.IX.4 (vol. II). Warner F and Harrison RM (1993) Radioecology after Chernobyl: Biogeochemical Pathways of Artificial Radionuclides, SCOPE 50. Chichester: Wiley. Whicker FW and Pinder JE (2002) Food chains and biogeochemical pathways: Contributions of fallout and other radiotracers. Health Physics 82: 680-689. Yasuhito I, Michio A, Katsumi H, et al. (2003) Resuspension: Decadal monitoring time series of the anthropogenic radioactivity deposition in Japan. Journal of Radiation Research 44: 319-328.